Prominent Greek photographer Costas Vergas’ exhibition “Images of Greece” has been opened at the Contemporary Art Center in Ankara. Greek Ambassador in Ankara Fotios Jean Xydas said at the opening of the exhibition under the Europe Day activities that the event would not only promote Greek culture in Turkey, but it would create a valuable opportunity to further improve Turkey-Greece relations. He thanked everyone, adding that they were proud of hosting art-lover Turkish people in the exhibition. 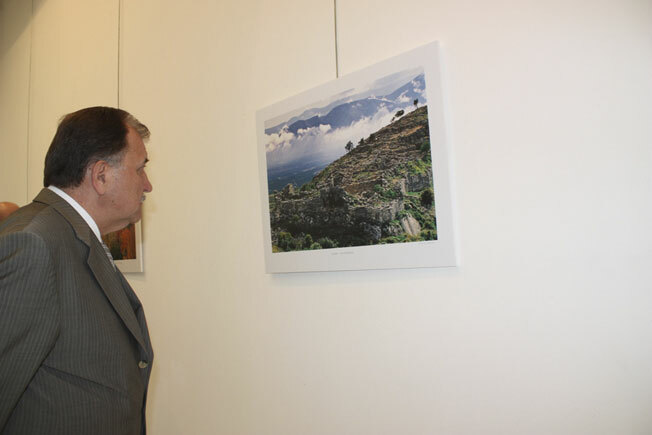 Bulent Tanik, mayor of Cankaya town of Ankara, said on his part that the photographs were taken in the Greek islands of Samos and Chios and they showed magnificent natural beauties of the islands. “On those islands, there are even more magnificent people. We should set up friendly relations with those people. I have always felt that Turks and Greeks are two separated peoples who miss each other. Let’s put an end to that missing,” he said.